For this Cookie Friday, I wanted to make something that says "Summer" (even though it doesn't quite feel like it in SF). I decided on Lemon Poppy Seed Muffins from Dorie Greenspan's Baking: From My Home to Yours but in miniature form. Lemons are just so refreshing, especially during the summer months, and I love baking with them! I used my Mini Tea Cake Pan and they came out SO cute! I had some left-over batter after filling all the mini molds so I made 2 normal muffins as well. Can't waste that yummy batter right? 1. Preheat oven to 400ºF. 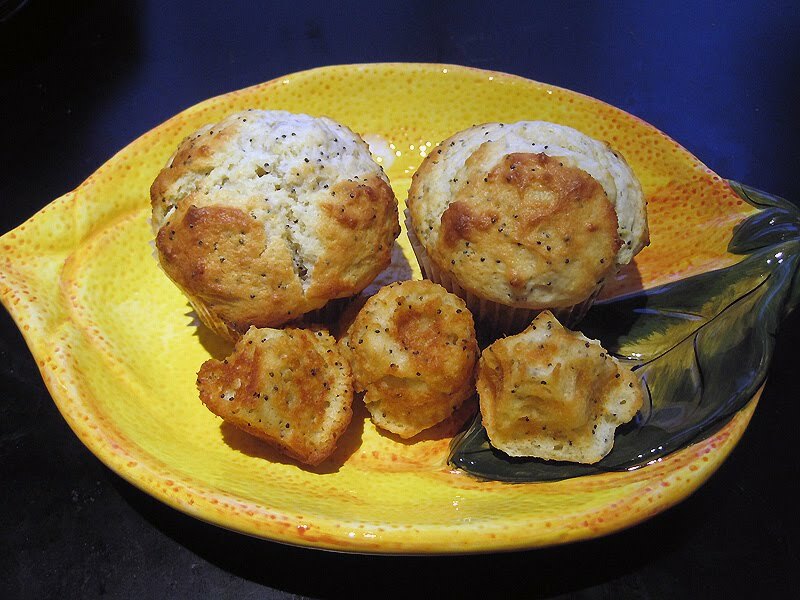 Spray muffin cups with cooking spray or line with paper liners. 2. In a large bowl, rub the sugar and lemon zest together with your fingertips until the sugar is moist and fragrance of lemon strong. Whisk in the flour, baking powder, baking soda and salt. 3. In a large measuring glass, whisk the sour cream, eggs, vanilla, lemon juice and melted butter together until well blended. Pour the liquid ingredients over the dry and, with rubber spatula, gently stir to blend. Batter will be lumpy. Stir in poppy seeds. 4. Divide evenly among muffin cups. Bake for 18 to 20 minutes, or until the tops are golden and a toothpick inserted into the center of the muffins comes out clean.